Star Lake is located in Otter Tail County just west of Dent, Minnesota. Click the button below to see our location. It is easy to assume that Star Lake gets its name from the kind of star you would find in the sky. However, surveyors, first appearing in 1858, named Star Lake after the starfish. This name celebrated the branches of the lake. Most likely those surveyors never saw a real starfish, which has five rays, as Star Lake has only three! Local legends describe another way Star Lake became so named. According to one local legend, a group of American Indians, who fished this area prior to European settlement, saw a meteor fall and crash into the lake. The impact of this "falling star" is said to be the source of the deep pool on the north arm of the lake. Archaeologists discovered evidence that American Indians visited the shores of Star Lake several hundred years before Minnesota became a state in 1858. This discovery, a small flake from a tool made of rock, known as Knife River Flint, was important as it comes only from Western North Dakota. How did the flake get here? 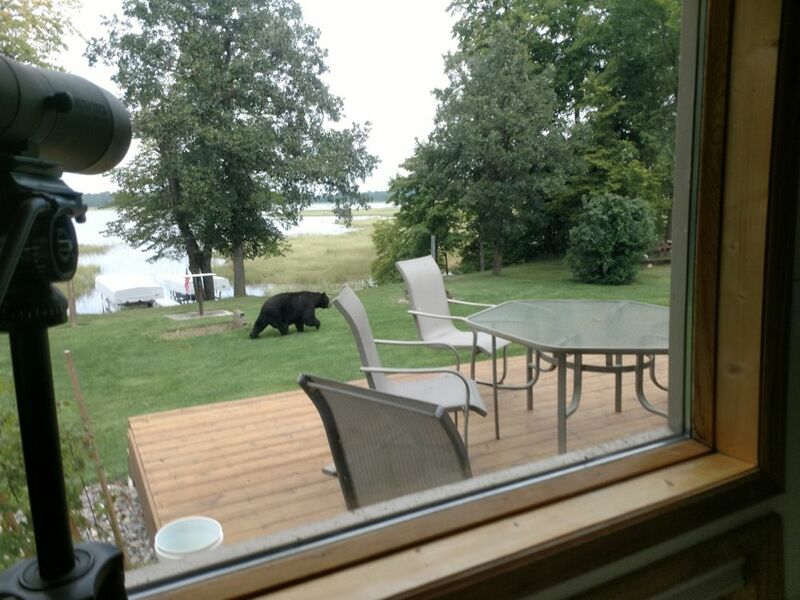 Did someone walk to North Dakota to get it or trade for it? Among the first wave of Europeans to enter the area and live on the shores of Star Lake were Newton Jenne and his wife Sarah Durant. They moved from Owatonna, Minnesota in 1877, travelling a distance of 260 miles. By horse drawn covered wagon their journey took two weeks; by car it takes 4 1/2 hours. » Ice out report (4/19/19): There is ice on the bays and main lake. » See MN DNR for Ice Safety info and Danger Thin Ice brochure. 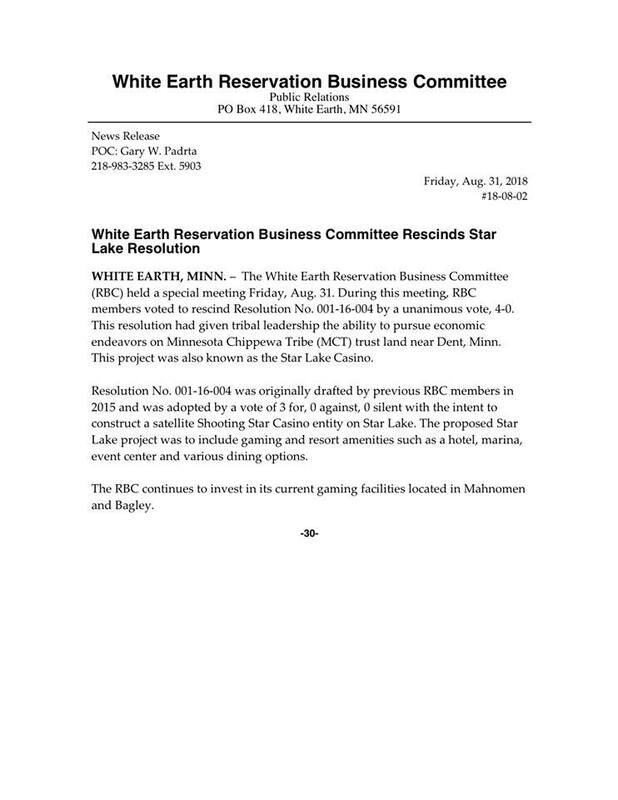 » Aug 31, 2018: White Earth Reservation Business Committee rescinds Star Lake Resolution (copy of News Release). This means that the casino project has ended.